Olivia Colman’s film The Favourite leads the race for this year’s Bafta Awards, with 12 nominations. 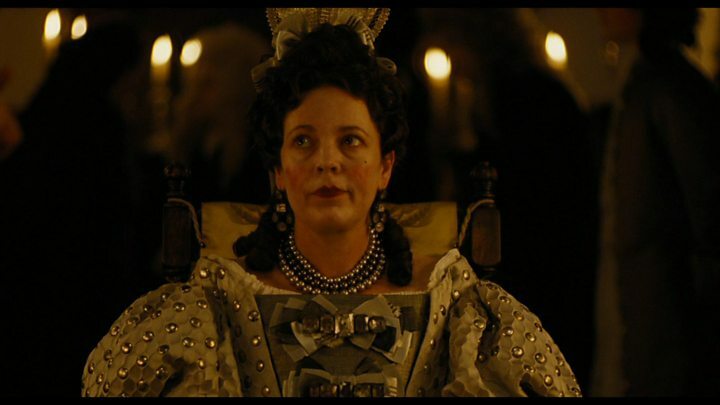 The announcement comes days after Colman won a Golden Globe for playing Queen Anne in the period comedy-drama. It’s some way ahead of its nearest Bafta rivals Bohemian Rhapsody, A Star Is Born, First Man and Roma, which have seven nominations each. Steve Coogan, Christian Bale, Claire Foy, Rachel Weisz and Richard E Grant are the other British acting nominees. The Favourite is the only production to be up for both best film and outstanding British film. It has also proved popular at box offices, making £4m in the UK and Ireland in its first week. Colman is nominated for best actress, while her co-stars Weisz and Emma Stone – who vie for the monarch’s affections in the film – are both in the running for best supporting actress. Who was the queen brought to life by Olivia Colman? “There’s a lot of love for this film,” film critic Jason Solomons told BBC Breakfast. “It’s already doing very well at the box office and it’s only been out there a week officially. Colman has won three Bafta TV Awards in the past – for Broadchurch, Twenty Twelve and Accused – but this is her first nomination in the film section. Actress Hayley Squires, who helped announce the nominations, said: “After a year of Time’s Up and #MeToo and the conversation that was happening so strongly last year, I think it’s fantastic that it’s a film that’s led by three women. Rami Malek is another star who will be hoping to follow a Golden Globe victory with a win at the Baftas. He is nominated for playing late Queen frontman Freddie Mercury in Bohemian Rhapsody, which is also shortlisted for outstanding British film. But it is not in the overall best film category. Coogan hasn’t been in the running in this year’s Hollywood awards season so far, but he is recognised by Bafta for playing Stan Laurel in Stan & Ollie, which tells the story of legendary comedy duo Laurel and Hardy’s final UK tour. He has won six Baftas in the past – but none have been for acting in a film. Richard E Grant and Melissa McCarthy in Can You Ever Forgive Me? Richard E Grant thanked BAFTA on Twitter and said he was “absolutely chuffed to bits” to receive his nomination. Joanna Lumley will host the Bafta film ceremony for the second time at the Royal Albert Hall in London on 10 February. It will be one of the last key ceremonies before the Oscars, which take place in Hollywood on 24 February. The Oscar nominations will be revealed on 22 January.